Posted by Nicole Richards on Tuesday, September 29th, 2015 at 10:56am. It is time for a Girls’ Night Out and what better way to spend at the mall with some of the participating Bluewater Babes! 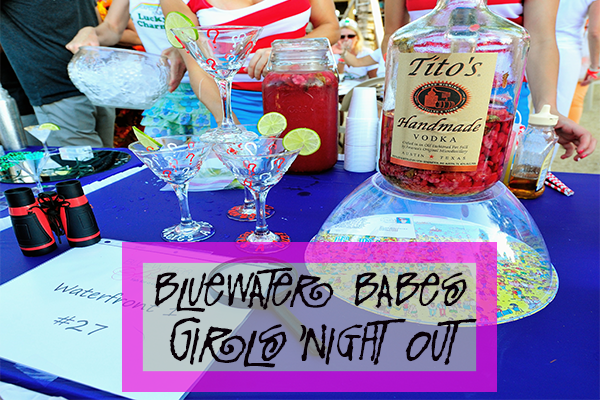 On Wednesday, September 30th come to The Gardens Mall in Palm Beach Gardens, Florida to pick up your bucket and party passes to one of the biggest female angler events around town, Bluewater Babes Fish for a Cure. “Bluewater Babes now provides direct support to those in need through its "Out of the Blue" financial assistance fund. Proceeds from both the annual Fish for a Cure events and ongoing fundraising efforts will increase and extend Bluewater Babes' reach to provide help for those in need in our own community. Please visit Bluewaterbabes.org for more info. To kick off the Breast Cancer Awareness Month of October, The Gardens Mall will have food and a free drink from Tito’s Handmade Vodka! The DJ and other exclusive offers will be presented as well as a couple very special raffle tickets to win for either $750 or $1,000 shopping spree at The Gardens Mall and other pretty awesome prizes! Bluewater Babes will also have their 2015 merchandise available for sale such as a Sterling Silver Mermaid Logo Pendant by Ocean’s Allure, Bluewater Babes hats for the women and gentleman, Mermaid Shirts for all sizes, Stickers, SPF Shirts, Koozies, Mugs, and Flags!